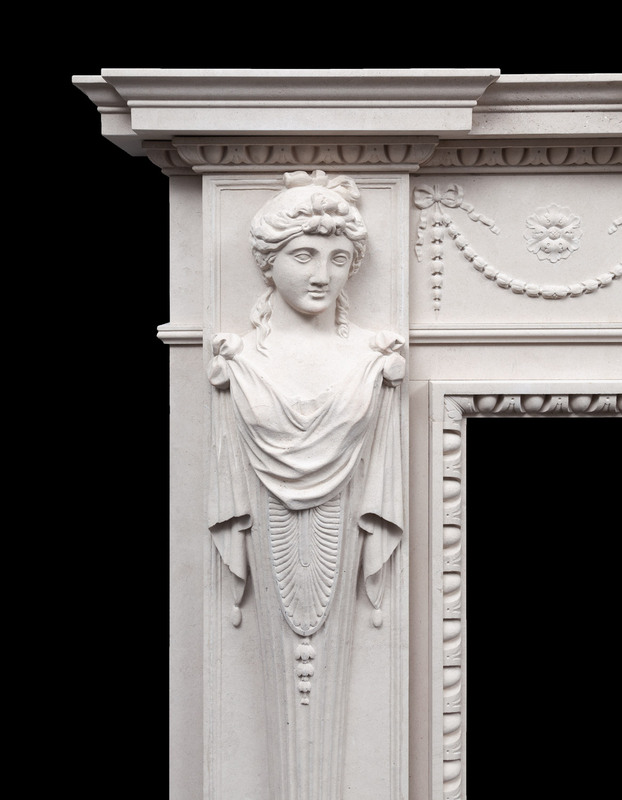 The tall and full pilaster length terms with beautifully carved busts of Bacchus and Ariadne. 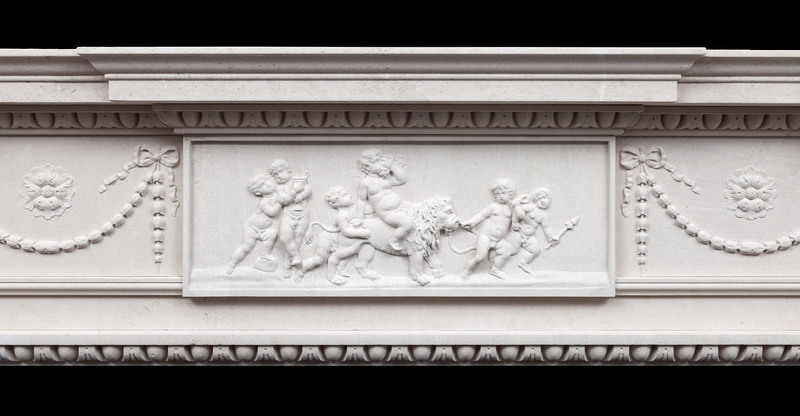 Delicate swags of bell-flowers tied with ribbons decorate the frieze panels, these flank a centre tablet which depicts the classical scene ‘Infant Bacchus riding on a lion’. 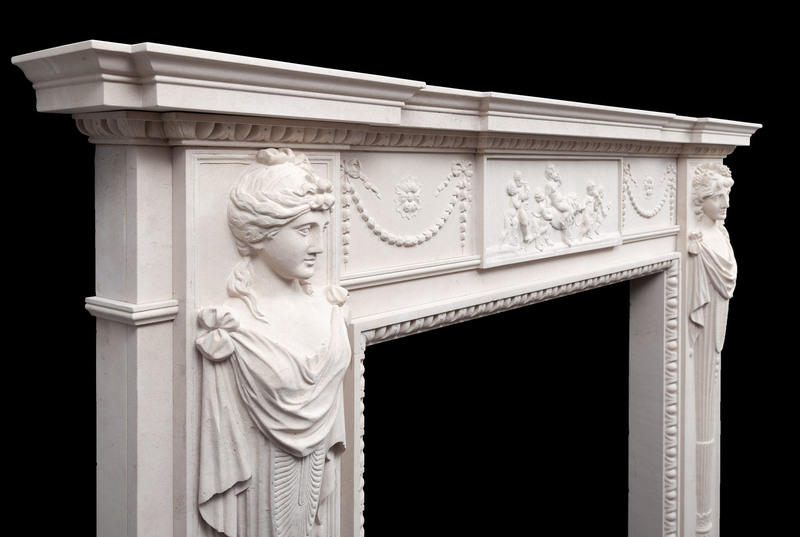 Crisply carved egg and dart mouldings frame the opening and form the first layer of the cornice shelf. 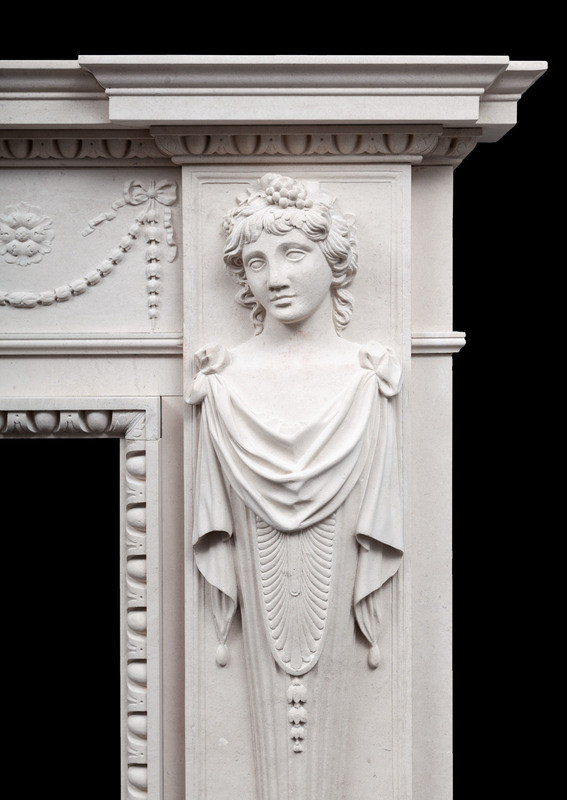 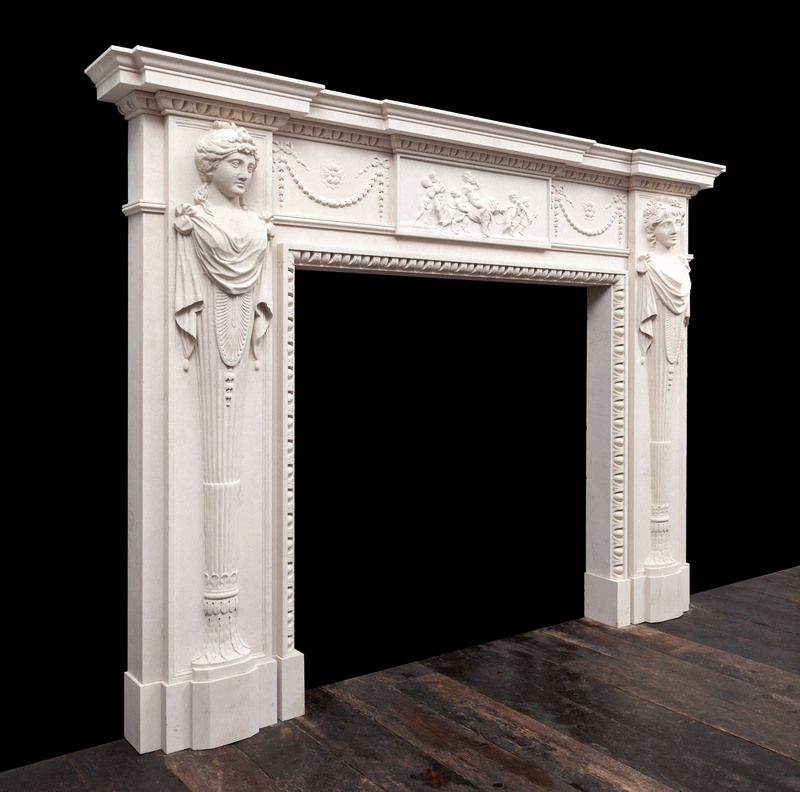 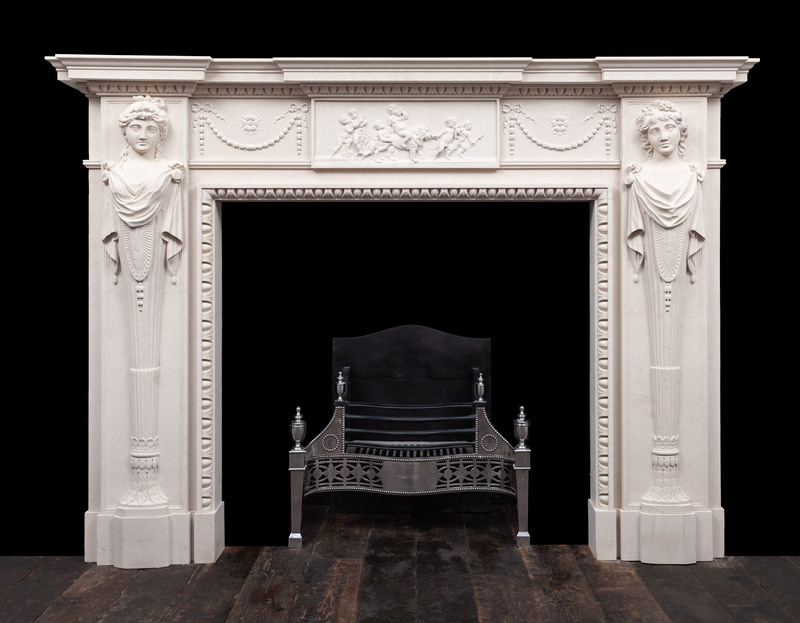 Modelled on an 18th century antique fireplace and hand-carved to the highest standard from carefully selected blocks of English Portland stone.